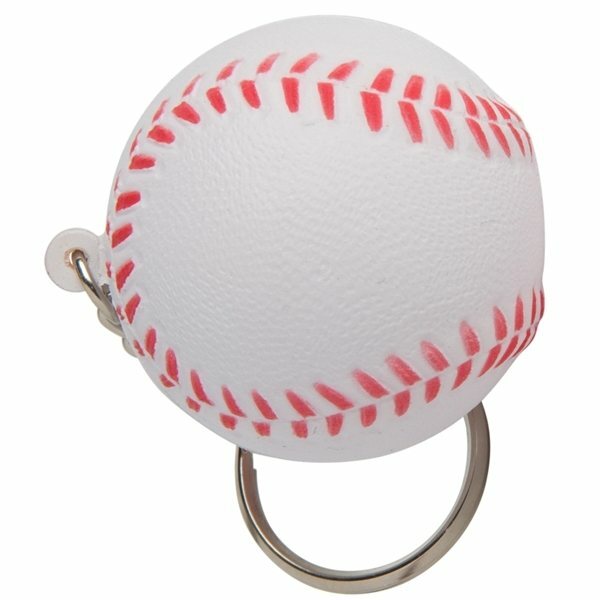 This baseball key chain stress reliever ball may not be regulation size, but it is certainly fun to squeeze! Hand this stress ball key chain with your logo to fans at the games or show your support for the little league team and watch your numbers fly out of the park! Customers will be able to take this anywhere while displaying your message! This went over perfectly with all of the employees. The colors were fine. I was very pleased. Lots of our attendees loved them. And ask how to order them. I was completely satisfied.. There was not anything I didn't like about it. I will not hesitate to order from you again for things like this product. This product has met our expectations. Great product and great service.